Healing Waters Lodge guest, Forrest, caught and gently released a wonderfully healthy brown on private water access. 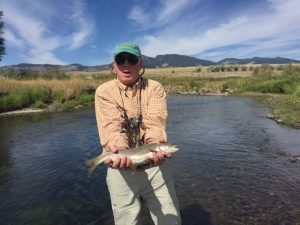 Spaces available in our Fall Fly Fishing school, October 14-19. Call Mike Geary, 406-459-2030, for more information.